Qualcomm will build factory in U.S. if it doesn’t have to pay taxes. However, there is a caveat. Qualcomm would like to imply that, if it could repatriate the $9.8 billion in cash it is holding offshore without paying taxes or at a sufficiently reduced tax rate, it would build the factory in the US instead thus creating jobs. Qualcomm is going on a campaign along with other firms such as Microsoft, Apple, Cisco, Pfizer and Oracle – no doubt employing the services of well paid lobbyists – to convince the government and anyone else that needs convincing that it would be in the best interests of the US to let these corporations bring this cash that is sitting offshore home. This is called repatriation. But the only thing that is standing in the way of bringing the cash home is the fact that Qualcomm will have to pay a 15% tax on it. This is because the US tax rate for corporations is 35%. Qualcomm has already paid a 20% tax in the country where the cash is being held. The US charges the difference between the local tax rate and the US tax rate on profits earned overseas, but only when that cash is brought back into the country or repatriated. Qualcomm and these other giant corporations are trying to bribe the US government into letting them bring the cash home tax free and are holding out the carrot that that would create jobs in the US. They say that this cash being brought home would provide an economic stimulus to the US economy. But would it? “While some economists say it led to investments and jobs, others contend that nearly all of the repatriated offshore cash [from a previous tax holiday in 2005] flowed to shareholders through stock buybacks and dividends — creating a windfall for investors instead of the spending on factories, equipment, research and job creation that lawmakers wanted. “Moreover, many multinational companies find themselves with stockpiles of offshore cash in part because they set up foreign subsidiaries to avoid paying high U.S. corporate taxes on their domestic operations, said Adam Looney, a senior fellow at the Brookings Institution in Washington, D.C. So is Qualcomm committing itself to creating jobs in the US if it could bring the cash home tax free? Of course not. First of all that cash consists of profits it made by selling merchandise offshore plus perhaps some profits made in the US that by devious legal means it shifted offshore to avoid paying taxes in the first place. Qualcomm3Smart corporate lawyers advise their clients on how to shift profits by means of subsidiaries to jurisdictions with low tax rates and to shift expenses to jurisdictions with high tax rates in order to offset taxes there. So how “good” would giving these corporations a tax break be for the US economy? Well not very if it just goes mainly into the pockets of CEOs and shareholders. If it really were so profitable to build a factory in the US, don’t you think Qualcomm would find the money to do it out of the $7.9 billion they’re sitting on here? They imply that they are trying to make up their mind whether to build the factory in Taiwan where there is a 17% tax rate or to build it here where there is a 35% tax rate as if this is the only consideration. They build factories overseas not only to take advantage of low tax rates but also to take advantage of cheap foreign labor. There is also a growing foreign market to take advantage of. Also the cost of plant and equipment abroad is cheaper. Furthermore, environmental regulations are lax increasing profits even more. So it would only make sense to build a factory in the US if it were profitable to do so regardless of whether or not they got a tax holiday for repatriating foreign held cash. What it boils down to is that corporations will use any excuse to cheat American taxpayers out of money. Then they blather about budget deficits and how they must be accounted for on the backs of the poor and middle class. Qualcomm and other multinational companies think it would be good for the economy if this money could be repatriated without such large tax consequences. Last time there was a repatriation tax holiday, companies could bring home their offshore cash at a tax rate of 5.25 percent for one year in 2005. About 840 multinational companies took advantage of the holiday. The amount repatriated surged from an average of $62 billion during the previous five years to more than $300 billion in 2005, according to studies by economists. Supporters of repatriation say the federal government collected taxes that it otherwise wouldn’t have. They also claim $187 billion of repatriated funds went to create or retain jobs, buy new equipment or pay down domestic debt. Qualcomm says it brought home about $500 million at the time and used it for acquisitions and hiring in California, North Carolina and Nevada. But economists C. Fritz Foley of Harvard, Kristen Forbes of MIT and Dhammika Dharmapala of the University of Illinois found in a joint academic study that every $1 increase in repatriations during the tax holiday was associated with a 60- to 92-cent increase in payouts to shareholders, even though shareholder distributions were not a permitted use of repatriated funds under the legislation. 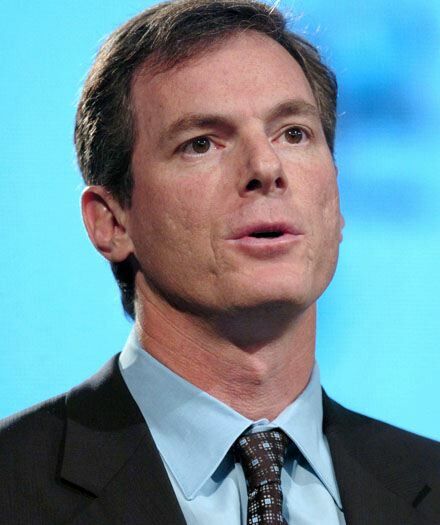 Paul Jacobs, CEO and Qualcomm heir. Please note that Paul Jacobs doesn’t say how giving Qualcomm an immense tax break at a time when the government is running a huge deficit would be “very valuable for the US economy.” And he doesn’t commit to the proposition that the cash Qualcomm is sitting on here wouldn’t be used for stock buybacks or CEO salary padding once the foreign cash entered the US tax free. After all money is fungible. Would Qualcomm be in favor of a law which would require them to invest all the money in factories here employing X number of people? And would those jobs be guaranteed to stay here for say 10 years? And would Qualcomm commit to no stock buybacks (which raise the value of existing stock) for a period of 10 years. Or would they commit to no executive salary padding for 10 years? Mum is the word on those issues. This just goes to show how screwed up the tax laws are in general. The way to encourage corporations to invest in factories here instead of overseas is not to give them tax breaks to repatriate profits. The way to do it is to not let them sell into the US market from abroad with out paying the piper at the border. Last year more than 50% of the profits of US corporations were made from their investments abroad. The US market is becoming one of diminishing returns. The main reason Qualcomm wants to repatriate the money is not to build factories here but to line the pockets of CEO Paul Jacobs and other US based investors. You can’t blame them for that. These corporations are out to make a buck, and one of the main ways they do that is to not pay taxes. And this has resulted in huge deficits for the US government. Paul Jacobs, the chief executive of Qualcomm Inc., was given a $17.6 million compensation package last year, about 1 percent more than in 2009, as the wireless chipmaker continued to benefit from the rise of smart phones and tablet computers and the spread of high-speed networks. Jacobs’ pay package included $1.1 million in salary, a 19 percent increase from 2009, when he took a voluntary pay cut in conjunction with other cost-reduction measures at the company. At the time, it was planned that the CEO’s salary would return to the $1.1 million level. The CEO received a $7,500 bonus related to the company’s patent award program, comparable with past years. Qualcomm gave Jacobs $3.4 million in cash incentive pay. This is 6 percent lower than the amount in 2009, but the company said in a Securities and Exchange filing Wednesday that it reflects mathematical rounding, not poorer performance. The company noted in the proxy filing that Jacobs’ pay is based on his leadership in accomplishing strong operating performance for the year, returning $4.2 billion to shareholders in dividends and stock buybacks and adding $700 million to the company’s cash pile, plus various strategic expansions and partnerships. Now Paul Jacobs isn’t the only US investor who would profit from repatriating as much cash as possible from overseas while paying as little as possible in taxes. His father, Qualcomm founder Irwin Jacobs, is a billionaire and is without a doubt still invested in Qualcomm stock. Paul has three brothers, one of whom works for Qualcomm, but all of whom (and their extended families) are probably highly invested in Qualcomm stock. So they would obviously like to repatriate all that cash sitting overseas and to do so with the minimum tax liability. This is the situation that many corporate CEOs find themselves in. The cash is there and their major investors including families and close friends are here. So how would you encourage corporations to invest and create jobs in the US rather than creating them abroad and then selling their products by importing them into the US market. The obvious answer is to make them pay a price for their access to the US market, but this goes against the prevailing modus operandi of free trade. Tariffs used to accomplish this goal by equalizing costs here and abroad making it more profitable to build factories and create jobs here. If corporations had to pay a 20% tariff or VAT tax like they do in Germany when their products hit US shores, that would tend to equalize the difference in tax rates between Taiwan, for example, and the US. The other advantage corporations get from building factories abroad is that in many cases, not only are the workers cheaper, but also the environmental regulations are more lax. This results in greater profits. Corporations will only invest in the US when it is profitable to do so. Instead of letting them bribe the US, state and city governments to get tax giveaways, which results in a race to the bottom and gives right wing Republicans an excuse to bust unions and balance budgets on the backs of the poor and middle class, the government needs to take the bull by the horns in such a way that corporations cannot any longer get away with what amounts to highway robbery of the American taxpayer. Qualcomm is a good example of how corporations maximize shareholder value and CEO pay packages by shifting factories abroad in order to take advantage of low paid workers and also shifting profits abroad in order to take advantage of low taxes. Their only problem is getting the money back here without paying taxes on it as well. Qualcomm – San Diego’s Stadium – San Diego, home to Naval Aviation and patriots who have been putting their lives on the line daily for years now. Patriots to America, unlike Qualcomm – Paul Jacobs is a shameful excuse for an American. San Diego is shameful for showing Qualcomm respect. The country that made him rich he refuses to support. I could say to hell with Qualcomm, but I’d be too late – they are already headed there – unfortunately folks like Jacobs are taking the rest of the country with him. Qualcomm and all US companies should not pay tax on products sold and profits earned outside of the country. The federal, state and local governments should only tax products sold and profits earned in this country. Taxing overseas profits is a leading cause of job being exported. A popular but unproven myth. It’s a contest – who can get to the gutter first. Why is it we struggle for the lowest common demoninator rather than the highest. Why is it we tax labor greater than we tax ownership? Why is it we seem so indifferent to the bad consequences caused by large scale economic inequality. Based on a theory invented by the rich to keep them rich. So be it – I’m management. It is not an unproven myth just because you don’t know how taxes are collected in Europe. Germany already uses this no profit tax on exports system. Europe already taxes consumption with a Value Added Tax (VAT). Actually I’m well aware of European taxing system. And the fact that the country with most favored business climate for entrapenurial enterprises is Norway – also the nation with the highest tax rate. I also know that according to the Prosperity Index released last year, the most prosperous countries, the top five in the world, are also the highest taxed (US ranked 10th). But I’m open minded, to evidence. I’ve looked at the numbers and seen the results. I assume we are all arguing for the same thing – a high quality of life where our grandkids have a future. I assume a morality of caring for our neighbors and community. So I’m sure you have faith that your point of view will produce these outcomes. But do the facts back up that faith. Think about it. Challenge your own assumptions. As to the VAT (and FIT’s) efficiency can contribute to effectiveness. Some solutions are more expensive – carry more overhead – and are less efficient. Consider POS (Point of Sale) transactions (sales tax). Let’s ignore the regressive nature of the sales tax and look at it logistically. How many transaction must be tracked? Each day? The figure is in the billions. With such large numbers many are able to cheat the system (State’s current effort to collect ‘use’ tax). Or the other hand consider VAT. The state deals only with producers and businesses. The consumer is not involved. By comparison the VAT involves about 1% of the transactions the POS involves. So which system is less expensive to run? It’s like charities – some take only 10% in administrative costs – others take 70%. Which do you prefer – the one where 90% of your donation goes to work or 30%? The truth is that Qualcomm and those other companies DO make a HUGE profit on those things produced elsewhere and sold here. The issue is that they want to get out of paying taxes on those goods by manufacturing them overseas. They then want to bring the finished product back into our country as “domestic goods” to be sold at a price 10-100x what they paid for the production. So whether the screen for your smartphone is made in Malaysia, China or India, it is imported and sold at your neighborhood cell phone store without a dime in taxes changing hands above the final sale. The “all-American” Levi’s you might adore are made in Mexico sweatshops but brought in as “American” goods to be sold as if they were still made in our own factories–and for a higher price than when our own (unionized) workers made them. Agreed, 100%. This is tantamount to blackmail by Qualcomm. Quite frankly, build your stupid plant in Taiwan Qualcomm, with oil trading at over $100/barrel, the costs of brining those screens back to the US combined with rising wages in an Asia that is becoming more labor-organized will eat your profits, you greedy bastards. It’s abhorrent to me that most large corporations in the US pay next to nothing in taxes. I am sure Qualcomm knows how our system works and can afford a lobbyist to take care of the bums in congress and State house, which will solve any tax problems they might have. As Charlie Keating said about John McCain and the Keating 5, “I sure hope the money I gave them made a difference”. Au contraire, RB, not taxing overseas profits is a leading cause of jobs leaving the country. Since the US is the world’s leading consumer economy, corporations all want to sell into the US market without paying anything to support that economy as taxpayers. US corporations pay an effective tax rate around 17% although the statutory rate is 35%. Corporate offshore tax sheltering is estimated to cost the U.S. Treasury anywhere from $30 billion to $70 billion a year. US corporations are allowed to deduct expenses incurred abroad immediately while holding profits earned abroad indefinitely without paying taxes on them. If they had to pay taxes right away instead of at the time the money was repatriated, they would be more likely to create jobs here rather than overseas because the tax advantages of creating jobs overseas would have been diminished. The way to tax corporations, both foreign and domestic, is at the point of sale or as consumption taxes. With consumption taxes, there is no tax advantage for production and jobs located overseas. Germany already creates good manufacturing jobs by NOT taxing profits from exports. Guess what? If you don’t tax exports, you get more exports and more jobs. Taxing our corporations more than foreign corporations does not stop the tax advantages of creating jobs overseas. Like you said, Germany taxes imports with a VAT tax. Any product imported into Germany has to pay the full VAT tax at the border. This acts like a tariff, and eliminates a lot of the advantages of producing abroad and then importing into their market. This discourages imports and encourages domestic production. Exports from Germany have already paid the VAT tax during various stages of production. This is not exactly true. Germany rebates the VAT on products exported. Products sold in Germany and those export are not taxed the same. You are correct, RB. Germany does rebate the 19% VAT tax for products that are exported giving exports an added incentive. So the idea is to discourage imports by adding a 19% VAT tax at the border and encourage exports by making them 19% cheaper than the same product would be for domestic consumption. This is even better than a tariff! It works in both directions to give Germany a healthy export economy and a well-funded government without tax loopholes. John, there is another benefit of linking tax policy with revenue rather than profits. Profit for most companies, businesses, and individual investors vary greatly each year. Revenues are pretty stable. In fact, a good predictor of California’s ‘unexpected’ budget deficits or surplus is the gains or l0sses in the stock market the year before. Revenues are much more stable and budgeting would not be boom or bust. A consumption tax is not the way to go, either, RB. It would reduce sales because any form of tax collected that way is bound to be higher than the pre-consumption taxes and would prevent those at the lower end of the salary bell curve from purchasing anything but essentials. It has been shown already in other economic models that the breaks and/or increased profits do NOT result in more hiring. Instead, most corporations have chosen to keep their staff at bare minimum needed to do the job and consider that savings even MORE profit. Look at the petroleum countries for a prime example. They made record profits again this year, but are poor-mouthing for more breaks while robbing us blind at the gas pumps. The VAT in the EU is a much different animal and Germany’s reflects their membership in the EU. Therefore, they do somewhat of a rebate for other EU countries. However, that rebate does NOT extend to “real” exports outside the EU. Anything the U.S. imports will still get hit with the VAT/tariff as it leaves the country of origin, garnering a second profit. Amusing, you make good points about the regressive nature of VATs. Perhaps, they could be tempered with exclusions for food, medicines,etc. But I believe at most income levels in this country, we have a consumption/saving problem. People in the US consume way too much and save way too little. All of us consume too much of the worlds resources and borrow way too much from other countries and future generations in part due to our low saving rate. Also, your right the VAT would raise prices and reduce consumption, but I believe reduced consumption is a not a bad thing. I believe you are wrong on VAT rebates. Goods sold outside of the EU are given the rebate. 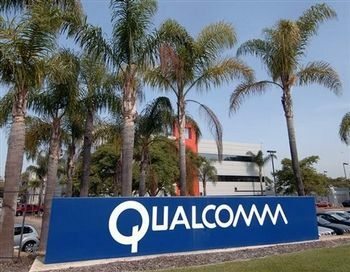 An article in Thinkprogress puts Qualcomm’s tax repatriation request into a national context which deserves attention. That context is the corporate sponsored WinAmerica campaign. We already went down the tax repatriation road in 2004, and while it lined executive pockets and provided a return to shareholders, it did not result in jobs or increased investments here. Qualcomm is mentioned in this article. I quickly scanned their financial report and they were already anticipating a lower tax rate because of legislation that went into effect in 2010.